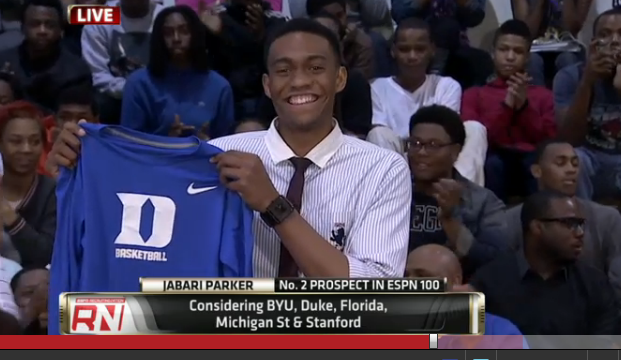 Duke coach Mike Krzyzewski to Jabari Parker when the #2 senior prospect called to tell him he had chosen Duke over BYU, Florida, Michigan State and Stanford. Parker is a first class kid. To see for yourself, click here.